Albertojimenez (7 weeks ago) Inappropriate? freaque (6 years ago) Inappropriate? Heyo and thanks a lot for the bee-yoo-tiful textures. Can't wait to use these in my scenes. weedude (6 years ago) Inappropriate? Thank you my friend! 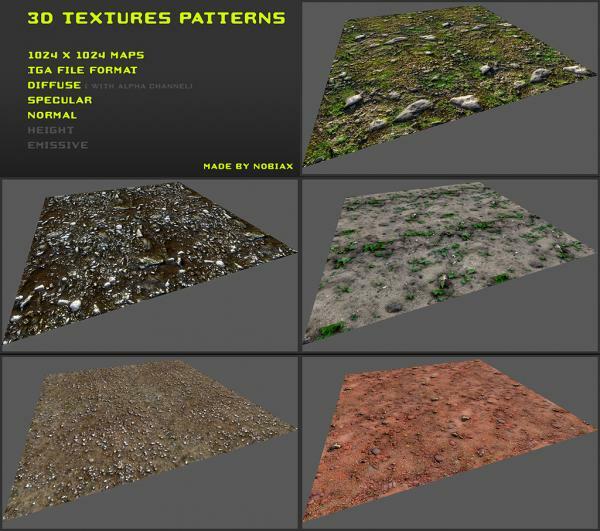 Really good work you did and is a great help for those in need of great textures! michaelrobin (7 years ago) Inappropriate? Wow, nice work. Thank you. Yughues aka Nobiax (7 years ago) Inappropriate? Unrestricted means unrestricted, public domain & cc0. tigerlily80 (7 years ago) Inappropriate? WOW oops sorry did not know that it submitted my post 3 times......>. All your textures and models say "unrestricted use" does this mean it can be used commercially also? As in if I texture something with it can sell the model in any form? Wanted to check to be sure. All your textures and models say "unrestricted use" does this mean it can be used commercially also? As in if I texture something with it can sell the model in any form? Thanks wanted to check to be sure. The preview are jpgs & the tga format works in every software (3dsmax, maya, blender, marmoset, photoshop, udk...) so jpg is not required. I choose tga mostly 'cause of UDK which doesn't support jpg or png. These are not in JPG format, and unless you have the right program to convert them they're of little good.